More than 30-million people have received unwanted messages about claiming for mis-sold Payment Protection Insurance (PPI), figures suggest. Two-thirds (67%) of British adults, equivalent to 32-million people, say they have received an unwanted telephone call, text, email or letter about PPI, according to the figures from Citizens Advice Bureau. Of these, 98% did not feel that they had given their permission to be contacted in this way, and m ore than half (55%) estimate that they were contacted more than 10 times in the past 12-months. The organisation found people's work, family time and household chores are being put on hold to answer calls about re-claiming PPI. One-in-four people (27%) received their most recent call during a family meal, while a round one-in-seven (14%) received the call at work, including during meetings and presentations. Around one-in-eight people (13%) were contacted when they were watching a film or television, and one- in-25 (4%) was doing chores such as cleaning, cooking and gardening, when they last received a PPI claims call. Telephone calls (91%), automated messages to landlines (39%) and texts to mobiles (35%) are the most common ways in which people are contacted about PPI claims. The new figures are from a national survey of 5,682 people aged 18 and over in Britain, carried out by Ipsos Mori between June and July this year. Citizens Advice research found 56% of complaints about PPI claims management stemmed from cold calls. 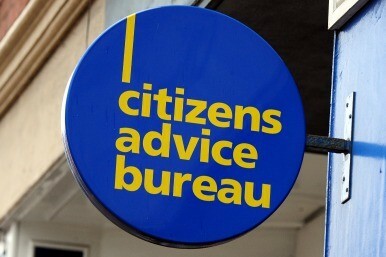 The figures, released in May this year, come from a detailed analysis of a sample of complaints (1,845) about financial services to the Citizens Advice consumer service between January and February 2013. Nuisance phone calls are not just confined to claims management companies, as 35% of complaints to Citizens Advice about financial services were from a cold call. People paid upfront fees for loans that never materialised, had their bank details passed on to other companies and firms failed to abide by cancellation rules. Half of 30,000 complaints about cold calling, dealt with by the Citizens Advice consumer service between April 2012 and March 2013, related to professional and financial services, including PPI and offers of loans. Gillian Guy, chief executive at Citizens Advice, is calling on financial services firms to be banned from cold calling and said it is "completely unacceptable" for PPI cold calls to disrupt family time and work meetings. She said: "Nuisance calls aren't just irritating, they're often a sign that the service on offer isn't very good or is actually a scam. "Over a third of the complaints Citizens Advice handles about financial services stem from a cold call. "There is a particular problem with claims management companies. People are finding that sometimes the promises made over an unexpected phone call aren't delivered. "This means people who have been mis-sold PPI lose out twice: first at the hands of the bank and secondly from the claims firms because they don't get the full compensation they deserve. "I want financial services firms to be banned from cold calling. That will help consumers identify good firms from the bad. Then if you get a cold call you'll know it is either a bogus firm or company not to be trusted." Richard Lloyd, executive director at Which, said: "The Government must give regulators more powers to crack down on unscrupulous claims firms who are contacting consumers without permission and exploiting people who can claim compensation for free themselves for mis-sold PPI. "Consumers can register their frustration with nuisance calls by using our new complaints tool which will send a clear message that more needs to be done to stop this menace." Guy Anker, deputy head of editorial at MoneySavingExpert.com, said: "This is an utter nuisance for the millions bombarded daily by these irritating messages. The PPI mis-selling scandal is one thing, but this is rubbing salt in the wounds. "It's simple: never, ever pay to reclaim PPI, let alone from one of these pests, or you're throwing away typically 30% of your cash."